I haven’t done Weekly Wishes in a few weeks, ever since I failed catastrophically at doing any sewing at all, but new laptop, new blog, new motivation! At least a new attempt to find some in the depths of this heat-induced laziness I’ve fallen victim to. Yes, let’s not blame me. Let’s blame the summer. Let’s be real, in large part it is the summer’s fault. That’s why this week’s image is some yellowed leaves in October; I am turning my back on the season. Indiegogo shares some of the blame, too, for giving my anxiety so much time to be paranoid that I had to take it slow and stay calm to avoid a full-on meltdown. I maintain that they should give me a gift card for therapy or something. I’ll probably vlog about this. While I try to remember how to be a functional human being, I’ve been thinking about the past year and how much has changed for me since I started taking antidepressants last August. I sort of quit writing altogether, which had been stressing me out more than it had been making me happy for some time, but for six months – until Etsy ate my life – I kept up with my daily to-do lists. My daily to-do lists basically started three years ago in the hope that I’d eventually fix my sleep schedule. Technically, I just ran one long to-do list, and every ten-twelve days, I listed six new tasks with the days listed next to them in a row. I’d circle each day if I accomplished its respective task. At the end of the ten-twelve-day period, if I’d managed the task a majority of days, I marked the overall to-do item as complete (with a checkmark and color marker); if not, I marked it as unfilled (with a cross and no color). Before I gave that up for the new year, I was doing a fairly decent job of keeping up with the four middle tasks (self-care, reading, exercising, and playing guitar), and my usual awful job of accomplishing the frame two (get up and go to bed early). 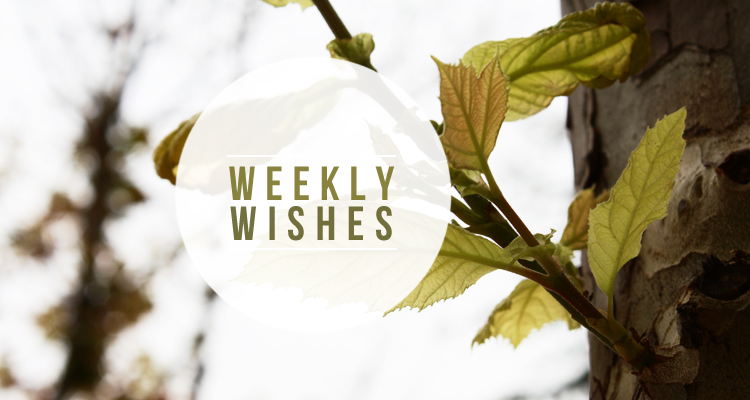 All this to say my weekly wishes for this week are in the vein of those tasks. I’m setting three goals for myself that I’m hoping to do every day for the next week. Was it The Happiness Project that had a line about how things are easy to do if you do them every day or only once in a while, but not if you do them every other day, or once a week, etc.? I know I read that somewhere. Which is not to say it’s true, but it’s true for me that doing things every single day without skipping any is the only way they become close to a habit and therefore easier to do. 1. Take pictures every day: We’re talking take pictures of things, mainly, because I owe a ton of product photography to Etsy sellers I’ve traded with; my old laptop wouldn’t cooperate when it came to editing, so I kept putting off the shooting part until I had the new one, and like I mentioned above, Indiegogo made me wait forever for my funds. So there’s a lot to shoot (fun, as long as I’m awake during daylight), and there’s a lot to model (which is the hardest part sometimes, putting on makeup and doing anything that requires me to step out of my room in this heat), and there’s a lot to edit (which is blissfully smooth now that my laptop doesn’t freeze every minute or overheat and shut down on a regular basis). 2. Stretch every day: I want to get back into exercising daily, but I don’t particularly have any intention of doing proper workouts. When I was doing well in this area, I was basically doing sets of stretching/sit-ups/dips/leaps/etc. scattered along the day – low time commitment, no sweat (literally). My energy levels are too low for strength conditioning at the moment, but there is one thing I can do, and that’s stretch. By which I mean pike stretching and straddle stretching (and stretching as warmup, but that’s not the goal). Last year I came so close to the splits! Now that I can watch gymnastics on my laptop again, I’m hoping that will motivate me. 3. 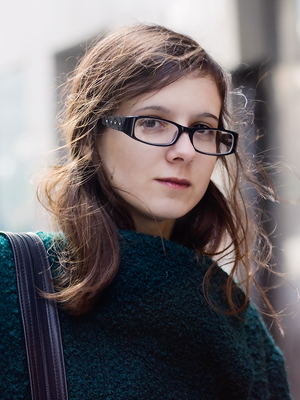 Blog every day: This overlaps with #1 in a way – it would be nice to get back into fashion blogging! But mostly I want to get into blogging in general, and this is really something that only becomes a habit if I do it every day. Otherwise I’m prone to let two days become two weeks, at which point I feel like I should apologize for not being around, and that’s no way to build a blog. I also want to start vlogging – I’m not shooting for doing that every day, but if I could get a video up before, say, Thursday, and then another one before the next Weekly Wishes, that would be pretty great. I just need to zero in on a subject, or decide to do an intro vid once and for all. Do any of you guys vlog? How did you get started? Photographing every day is something that I want to get in the habit of doing! Good luck with your goals. I want to get into the habit of taking photos every day too. Good luck with your goals this week!